﻿ Best Price on Bluebeard's Castle Resort in Charlotte Amalie + Reviews! 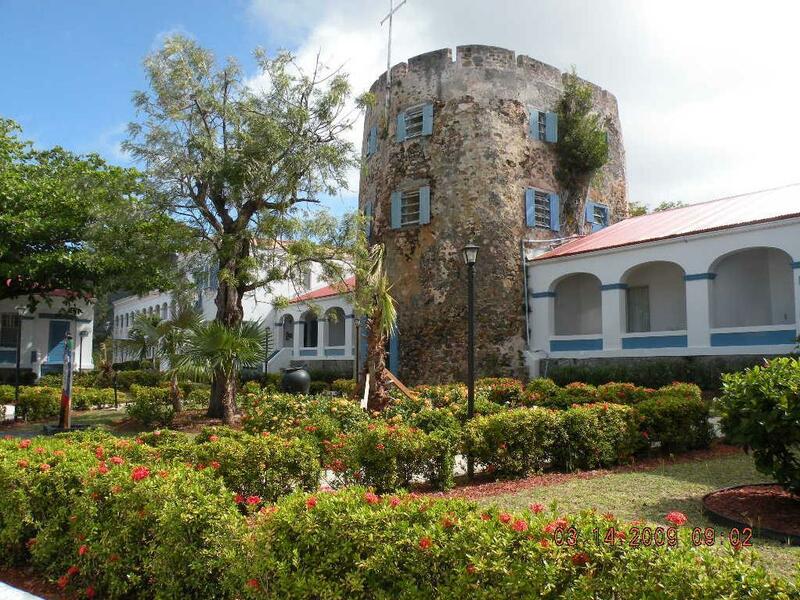 Have a question for Bluebeard's Castle Resort? For travelers who want to take in the sights and sounds of Saint Thomas, Bluebeard's Castle Resort is the perfect choice. From here, guests can enjoy easy access to all that the lively city has to offer. This modern hotel is in the vicinity of popular city attractions such as Cyril E. King Airport. Bluebeard's Castle Resort offers impeccable service and all the essential amenities to invigorate travelers. A selection of top-class facilities such as Wi-Fi in public areas, car park, restaurant, laundry service, poolside bar can be enjoyed at the hotel. Hotel accommodations have been carefully appointed to the highest degree of comfort and convenience. In some of the rooms, guests can find air conditioning, heating, mini bar, balcony/terrace, alarm clock. The hotel offers an excellent variety of recreational facilities, including hot tub, fitness center, outdoor pool. Discover an engaging blend of professional service and a wide array of features at Bluebeard's Castle Resort. Before making the reservation I saw some mixed reviews, but it was located in a convenient place close to the BVI ferry docks, and the price was very reasonable. However, we were highly impressed from arrival until departure. A very nice and friendly atmosphere, clean rooms, great view of the bay, lots of history, great restaurant and bar. The pianist at the bar was fantastic, and the service was excellent. In summary, a great stay, and we are planning to go back there next time with the rest of the family. Thr television in the bedroom didnt work. Couldnt access the internet being a student couldn't gwt no studies done. The staff when comming to your room will not and not identify themselves. Hard to find much good. Staff was not friendly or helpful. Location is up on a hill, good view but no way to get to anything without a car or taxi. Dated facility, very spread out. We came in June during the off season so the prices were really great. It was comfortable, with a great view. No complaints, but we also didn't ask much of the staff save for one plumbing issue which they took care of promptly. We didn't spend much time at the hotel, and never used the pool as we were always at the beaches. The pool seemed nice, though, and the bartender made us drinks even though he was closing and didn't have to. There are nice accommodations at the hotel, but bring a car - St. Thomas / St. John have so many great beaches that are worth exploring. Blue beard's castle is definitely not one of those all-inclusive feeling hotels that you'll never leave (which we loved). Very nice stay. The pool and restaurant areas are fantastic, and the restaurant wait staff were very cordial and engaging. We especially enjoyed the chef at the casual bar restaurant. He was friendly and the food he prepared was delicious! Bellmen were friendly and helpful. Front desk clerks were not very helpful or friendly, but in spite of them we enjoyed our stay. The rooms are dated. We asked to switch rooms as the first room smelled like mold and there was visible mold on the closet doors. The staff quickly switched us and we're very apologetic about the room. In the new room however when we filled the bath tub the water was rusty and the bath water was orange. The same thing happened with the sink. 3 restaurants on site; however, the hotel is not on the North side of the island where all of the beaches are. You will definitely have to take a taxi to the beach each day. Value for money. Big room. Good view. Check in 4pm (??! ), check out 10am. The most upsetting thing is the staff, not helpful at all. Reception had us wait for few hours without any info or update. Concierge had us wait for another few hours because she is hungry and she needs to have lunch. Room cleaning never comes- we were there for three nights. If you are not a hotel or resort, please don't mislead people by a name "resort"... Other than these, location is good, room is spacious(be really careful with Mosquitos!!!) Chef at the cabana bar was funny. Really great time. Price was excellent for a time share. Con was St Thomas seems to shut down at 5 pm. Bluebeard's Castle is a lovely hotel with beautiful surroundings and friendly staff. 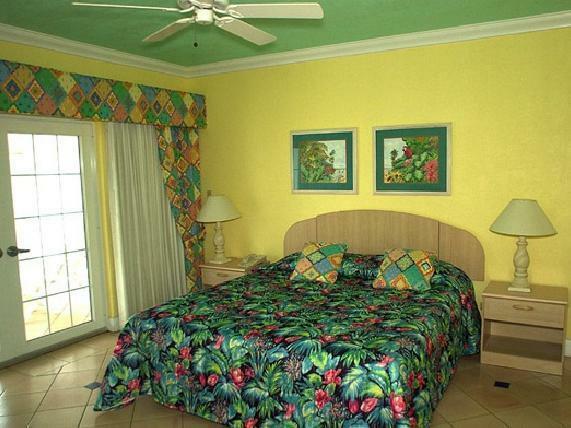 Rooms are modern and clean and the The Banana Tree Grill Restaurant on site is awesome. We stayed twice for one night each before and after going to Tortola for a boat charter. The first rooms were in and old section and were marginal. On the return trip we were in a remodeled wing, which was MUCH nicer. The pool bar and restaurant had a friendly staff and good casual food. Internet was available for a fee, which is annoying. Taxis are readily available, which is very convenient. Our time there was relaxing. The views are amazing, and we were within walking distance to town. The staff at check-in/check-out were very unwelcoming & unfriendly. We had multiple hairs in our breakfast food. The first stay we had roaches in our room. The second stay the room was roach free. liked the staff. Check in was fast. I have stayed here the last 3 times that I come here to do business in St Thomas. Although I didn't get any channels on my t.v. this time, this was frustrating. Maybe next time, the cable will work in the room I will be in. We only had a one night stay and arrived about 4:00 pm. After unpacking a few items, we walked around the property while it was still daylight. It had a a great view over looking the bay. Then we thought we would check out the dining area, so we sat down to a fantastic meal. After dining we had a few drinks at the bar with some friendly vacationers. Called it a night and left about 10:00 am next day. Our stay was great, thank you! pleasant friendly staff, I wish I could have had my wife with me to share the beautiful view. This is the place that I like to stay every time I come to do my business now in St Thomas. I own a Commercial refrigeration company here and this is the best hotel on the island!! !